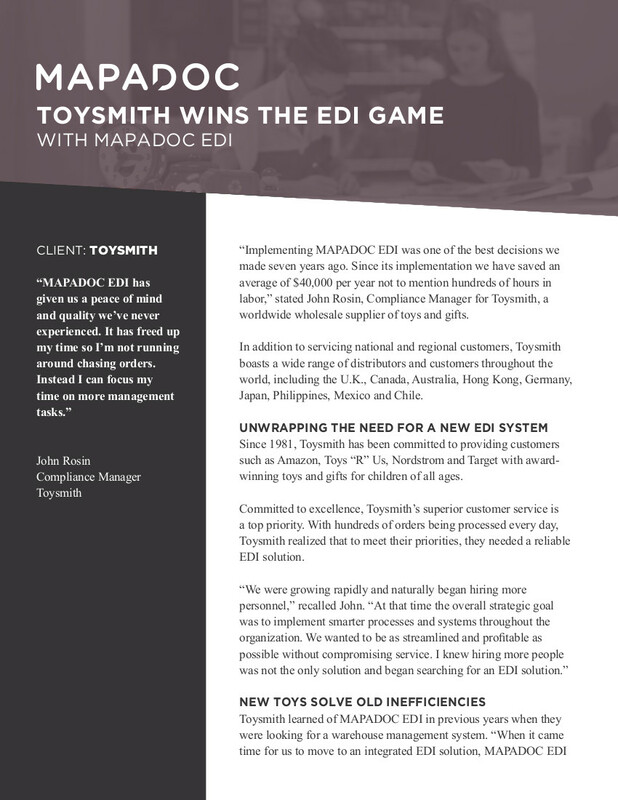 MAPADOC is a powerful, flexible, yet remarkably easy to use EDI (Electronic Data Interface) software solution built especially for Sage 100cloud ERP, Sage 500 ERP and Sage Enterprise Management (formerly Sage X3). 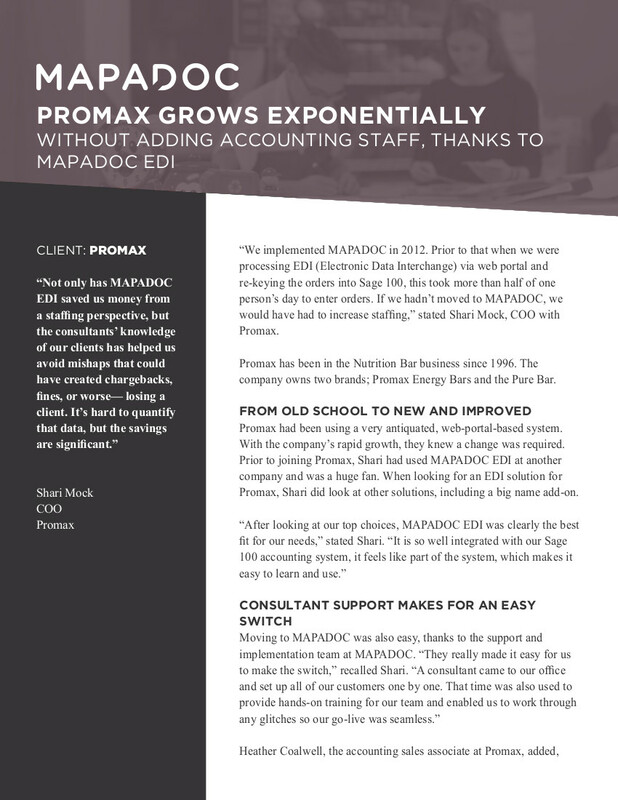 Since it’s a scalable solution, you can start at any point and add the functionality you need – when you need it. 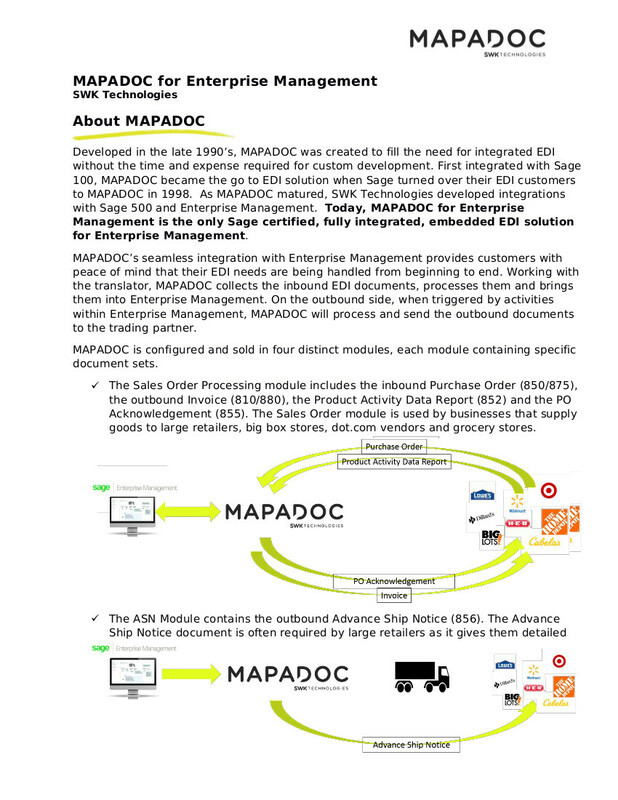 Available in three configurations from simple turnkey to fully integrated supply chain solution, with editions for small business, standard, and enterprise, MAPADOC offers solutions that will meet both your requirements and your budget—that’s the power of choice. 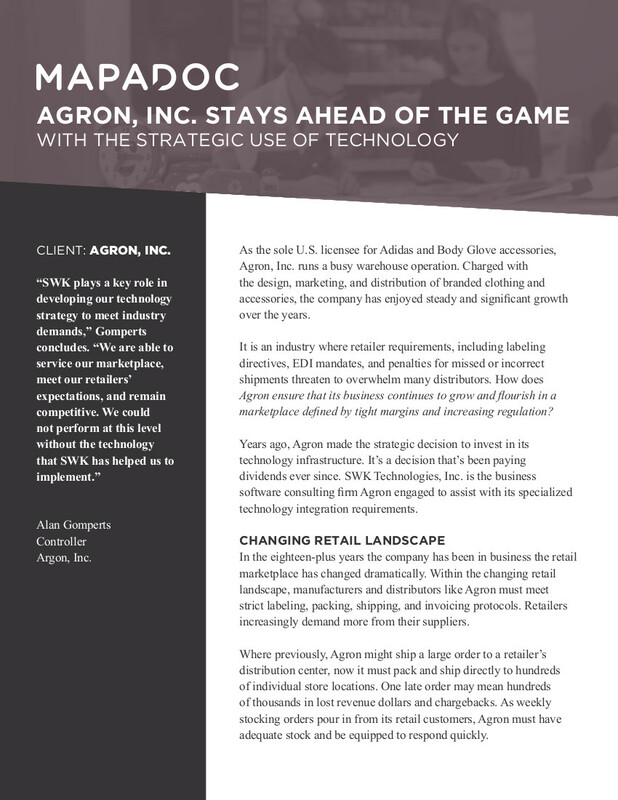 Working with large retailers such as Amazon, Walmart, and Overstock.com can launch your business into the big time – but it comes with A LOT of detail-oriented paperwork. If you’re not prepared, EDI will take a bite out of your company and you’ll start sinking fast. You’re going to need a better system. 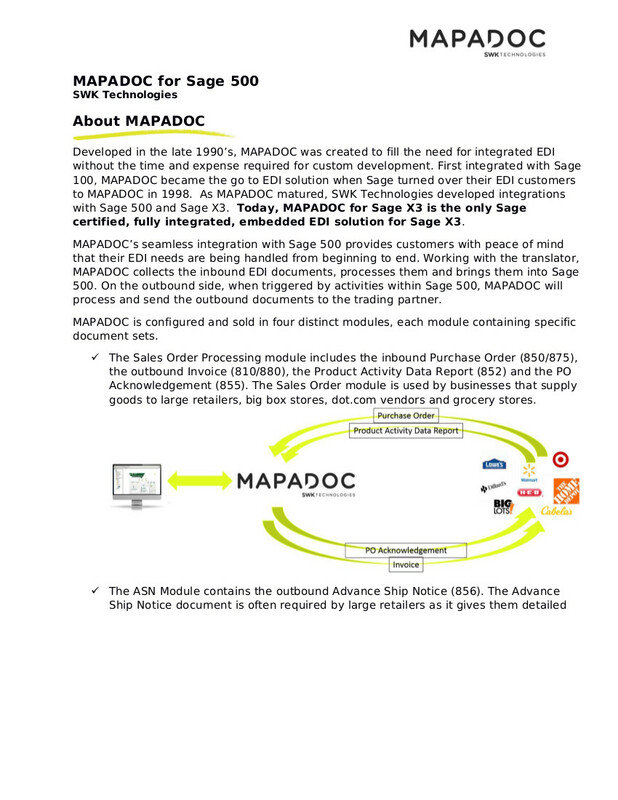 MAPADOC offers EDI (electronic data interchange) processing software that seamlessly integrates with your ERP to double-check the details for you, making sure your i’s are dotted, and your t’s are crossed. Effortlessly.